A man ran to help at the scene of a car crash before finding his wife-to-be had been killed in the accident. Scot Brading, 30, was walking his dog in a field beside the A1 in Scotland when he ran to give assistance at the scene of a collision. Truck driver Michael Friel admitted killing Meghan in a head-on collision after driving along the dual carriageway the wrong way. Friel kept driving on the A1 Edinburgh to Newcastle trunk road as other drivers swerved to avoid him and flashed their headlights before smashing into Meghan's car. Friel, 57, pleaded guilty to causing death by driving dangerously on December 9, 2016, near Dunbar, East Lothian, after performing a three-point turn and driving the wrong way in the face of oncoming traffic. 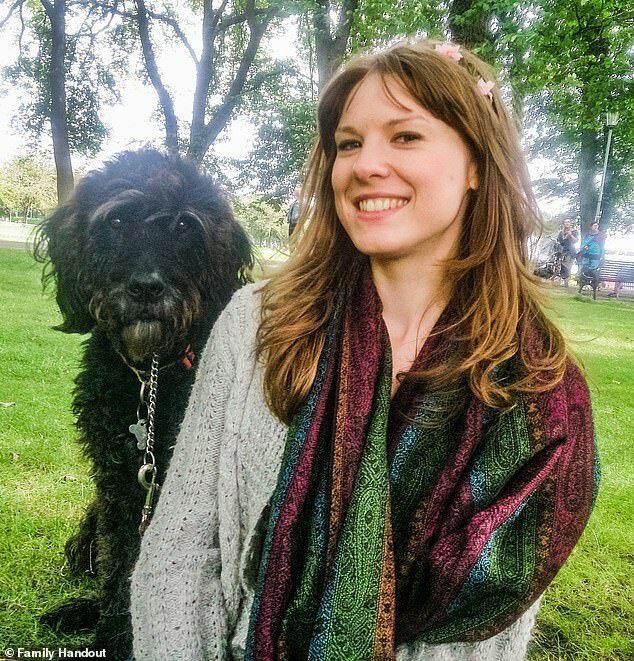 The High Court in Edinburgh heard that Miss Ambrozevich-Blair was posthumously awarded a first-class honours degree in veterinary nursing from Edinburgh Napier University. Miss Ambrozevich-Blair was in her fourth year at university at the time of her death and previously was awarded a medal as best HNC animal care student on graduating from an agricultural college in Dumfries. A former pupil of Dunbar Grammar School, she regularly raised funds for the Scottish SPCA and campaigned against animal cruelty, the court heard. Lord Arthurson deferred sentence on Friel, of Macmerry, East Lothian, for background reports. Miss Ambrozevich-Blair's family said in a statement that their 'world fell apart when our beautiful Meghan was taken from us'. They added: 'Meghan was talented, caring and loving in every way. She loved life and had it all in front of her. 'We lost an incredible daughter and sister, and her fiancé lost his soulmate and the family they planned to have. 'The suffering we have endured over the last two years since that day has been horrendous. Advocate depute Alex Prentice, QC, told the court the student had left her home in Dunbar, to drive to her part-time job at a veterinary surgery near Edinburgh. Friel had also set off from Dunbar in the Ford Transit tipper, heading for Little Spott, East Lothian.